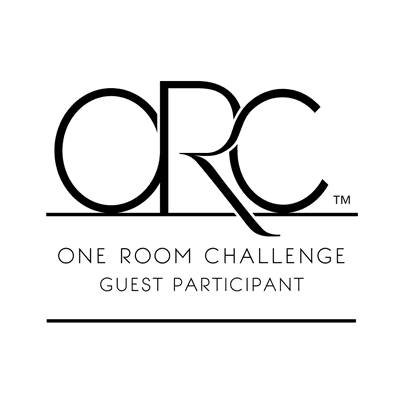 Have you heard of the One Room Challenge™? 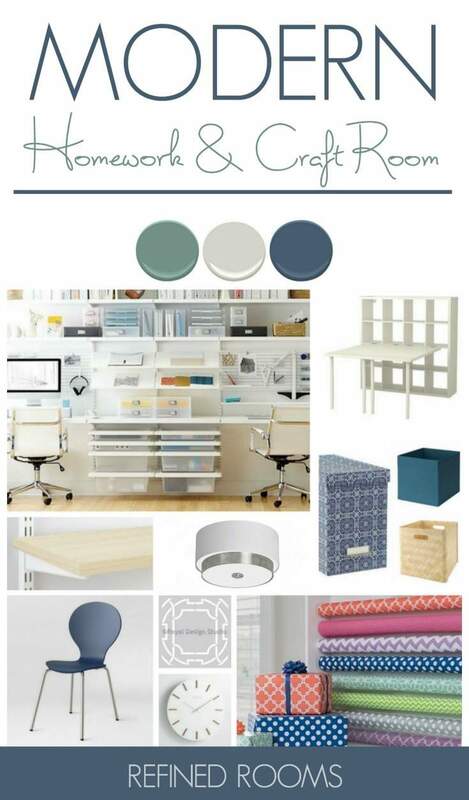 It’s a widely anticipated event in the home decor blogosphere that happens each April and October. Designers and bloggers who take the challenge commit to transforming a space in just SIX WEEKS. Over the past several years, I’ve sat back and admired all of the amazing Before – After eye candy, wishing so much that I had gotten my act together in time to participate in the Challenge. Until THIS time! I’m jumping in feet first, and I’m so excited! I NEED this accountability because we’ve really been dragging our feet when it comes to home improvement & decorating projects over the past year. So how does the accountability piece come into play? Well…there’s putting it out there to all of you lovelies. For the next five Tuesdays, I’ll post updates on my room progress (and will share a few home improvement tips & DIY tutorials along the way). There’s also the ORC link-up deadline to meet. There are 20 featured designers selected by Calling It Home, the host and mastermind behind the One Room Challenge. Those 20 bloggers link up their progress posts on Wednesdays and everyone else (including Yours Truly) will link up on Thursdays. Curious to know which room is about to get a behemoth makeover? 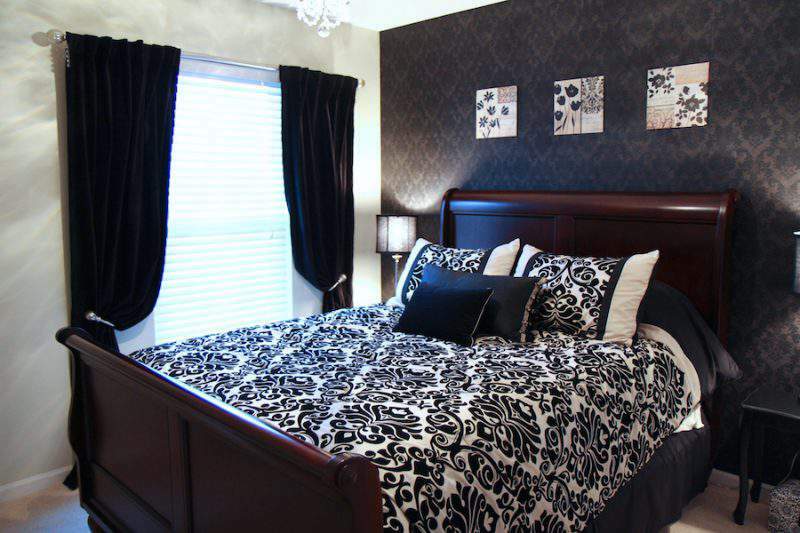 It’s the guest room! 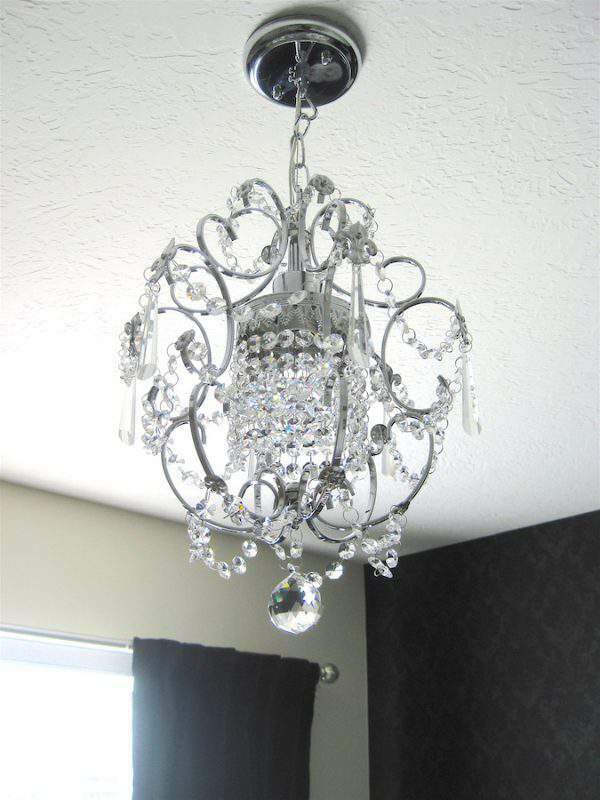 You may remember getting a few glimpses of it during the closet makeover I completed in here a few years back. Since our family’s needs have changed, we’ve decided that it’s time to say farewell to our guest room and transform this space into a modern homework/craft room. We’ve been mulling over how to best utilize this unused guest room for about a year now. 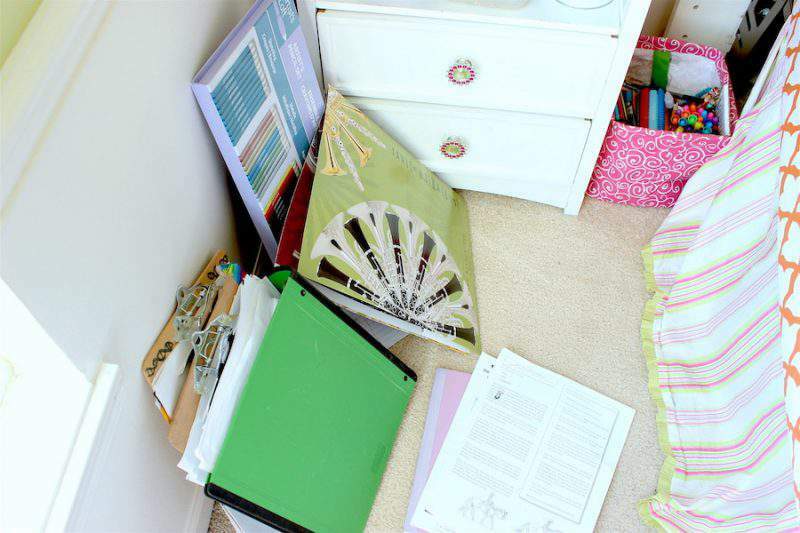 I’ve always dreamed of having a craft room, an entire space devoted strictly to all things creative. 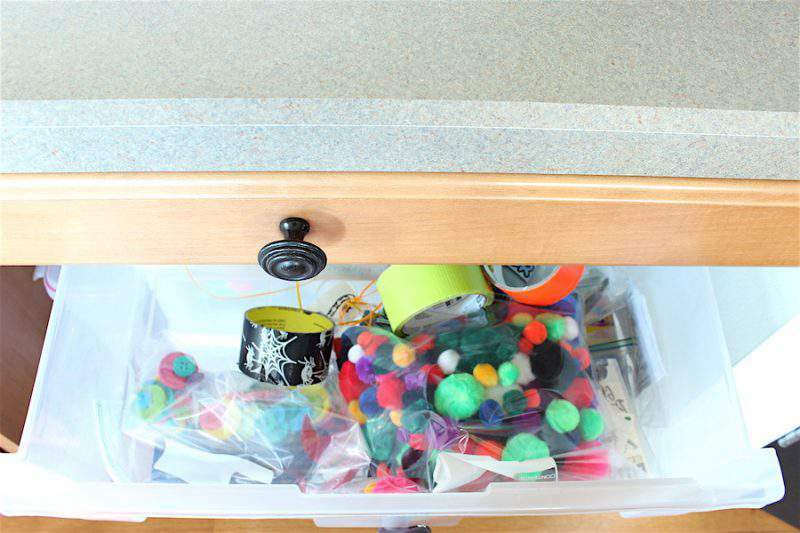 It could serve as the place where clever DIY projects are hatched and as the place where my daughter could hone her artistic skills. And it also might just inspire me to pick up where I left off on all of my unfinished scrapbooking projects from many moons ago. and in my husband’s office closet. 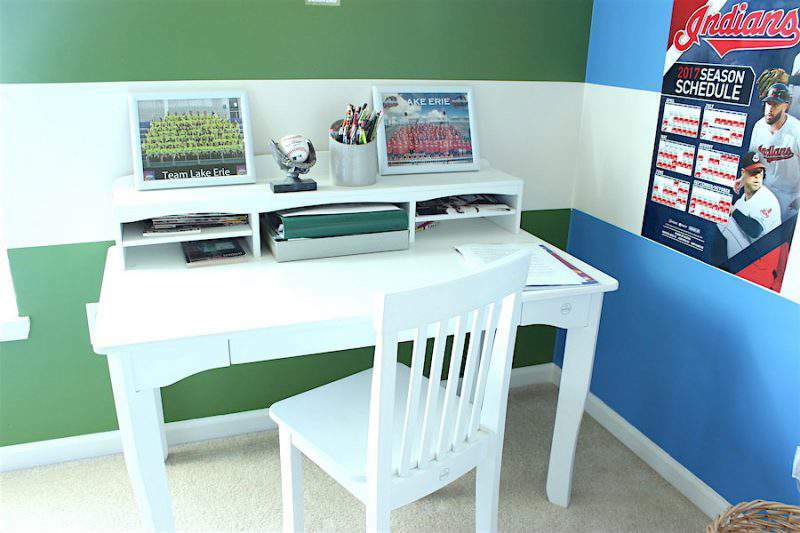 Moving on over to Alex’s current homework space situation…he’s a 12-year old whose still using a desk designed for a 6-year old. My kids are currently in the 6th and 8th grade. 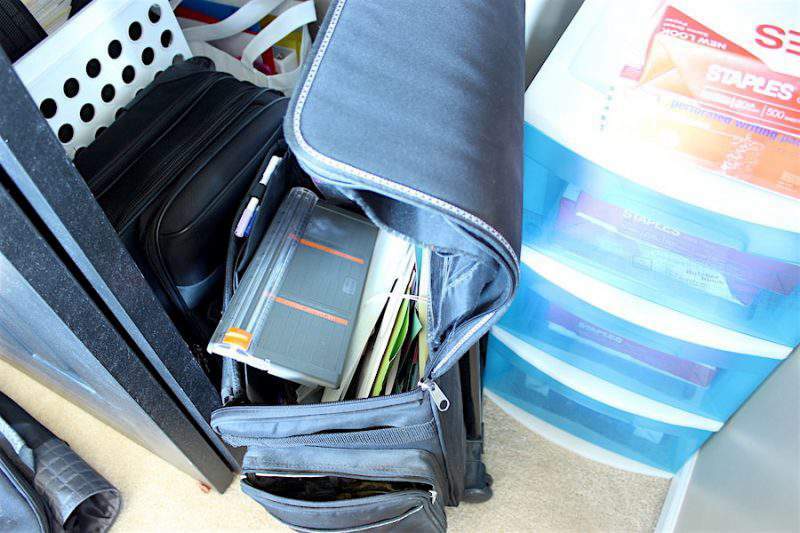 Each year, their school work becomes more demanding and time-intensive. Brian and I want to create a space that inspires learning, with all of the tools that they need, in order to set them up for success in school from now until high school graduation. As much as I yearn for that craft room, creating an awesome space to help my kiddos excel in their academics definitely trumps my need for a creative space. But WAIT…what if this room could serve BOTH functions? So that’s the incredibly lofty plan for this small space and we’re sticking to it! 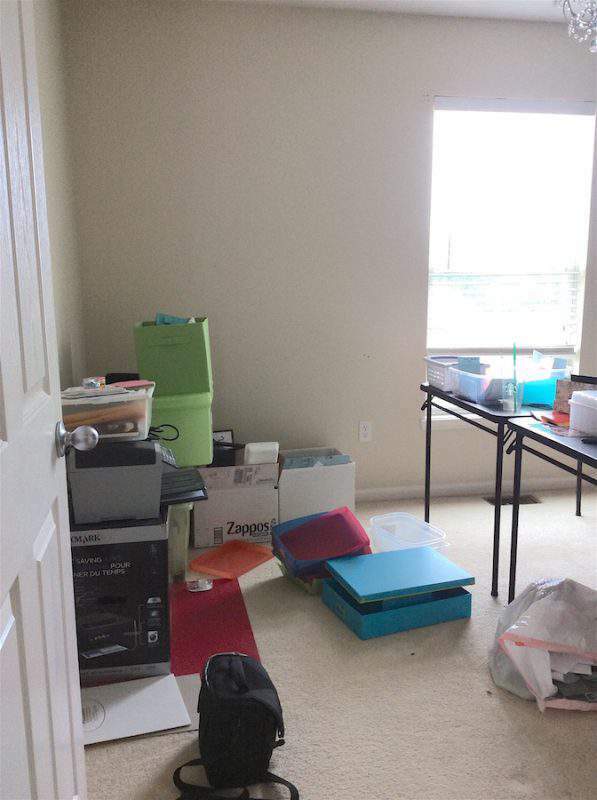 Oh, and while we make the space more functional, it makes total sense that I continue my quest to banish traditional decor elements in favor of a more modern, minimalist style like I already have in our great room, dining room, home office, and powder room. Right? Right. 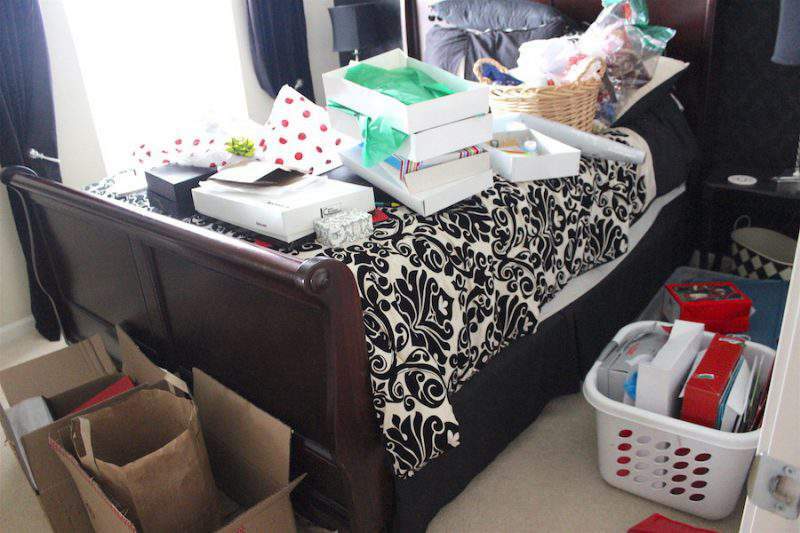 Each week, I’ll be sharing an update on how the room makeover is progressing (remember that whole accountability thing? No backing out now!). Also, be sure to follow along on Instagram for some behind-the-scenes sneak peeks during these next few weeks. What do ya think? I’m sketching out final ideas on my Room Redesign Planner today. I’m sooo excited to see this plan come to life! We definitely got a long way to go. 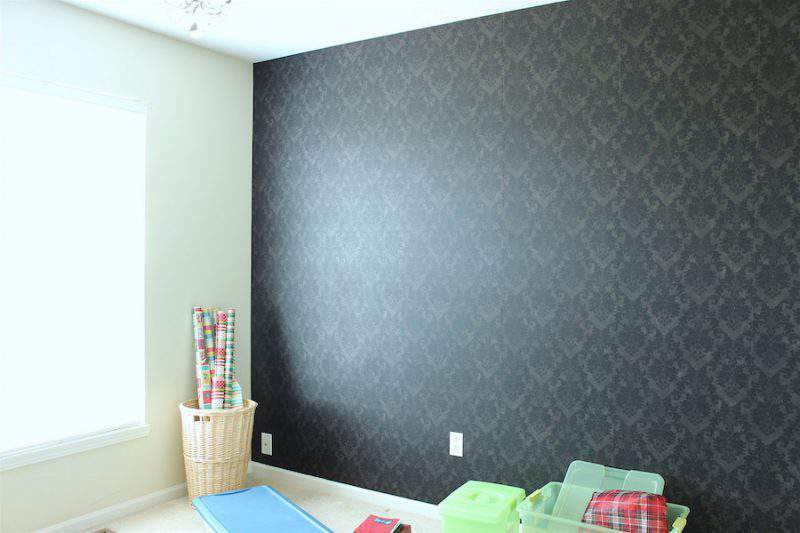 I’m super excited to be partnering with Royal Design Studio Stencils for this project. 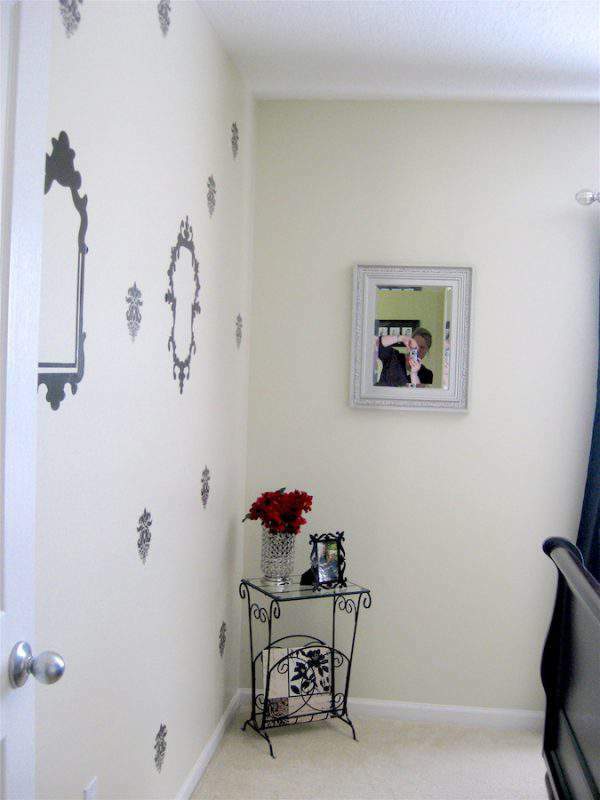 I’ve showed you before how stenciling a wall can add some serious dramatic impact to a space. 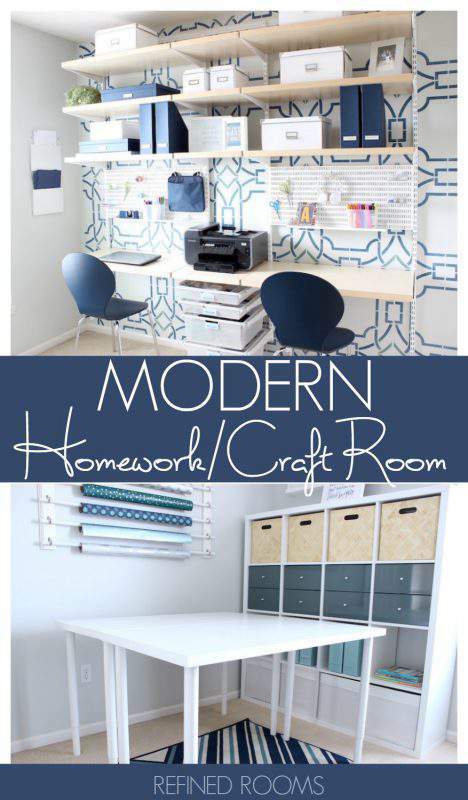 I plan to do it again in this modern homework/craft room! Until next Tuesday! 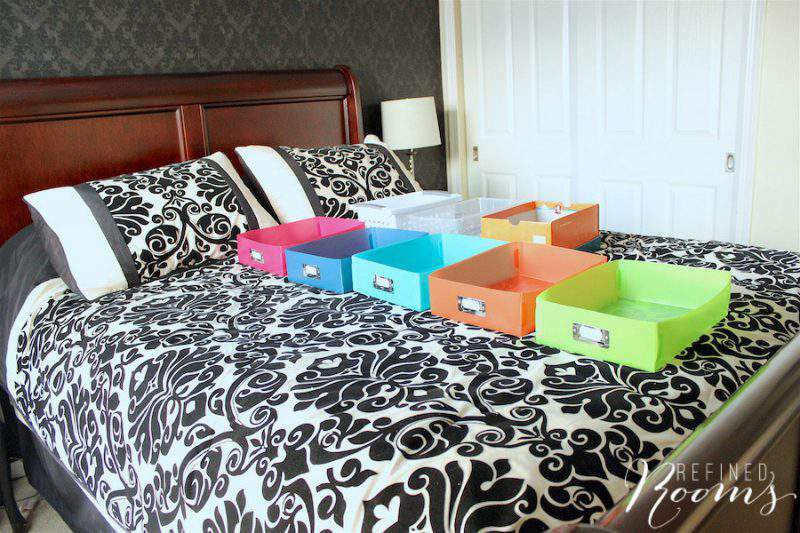 Don’t forget to check out the other One Room Challenge plans! There are some really fun projects that will be unfolding over these next few weeks. Can’t wait to see what all of these talented designers have in store for us! Natalie, How did you sell and/or where did you donate your CD collection to start this makeover? Thanks! I actually used a service called Decluttr to sell my CD collection! There will be an entire post dedicated to selling on Decluttr in the new year! This is awesome. I just love it. Thanks for sharing this post. Thanks for the kind words! Now to see if I can actually pull it off in real life! Makeovers are so hard, but this one looks like it’s going to be great. Can’t wait to see the progress. Truer words have never been spoken Trish! Oh, that’s awesome Kristin! Participating in the ORC is stressing me out a wee bit, but I’m excited to super-charge my efforts to get this project done quickly! Thanks for stopping by!